Oh, What a Night and What a Year! What an incredible and unforgettable weekend of top-quality boxing it has been. Boxing right now is going through a golden period of sustained success right across the world, and the Brits appear to be at the centre of much that is good that is going on. 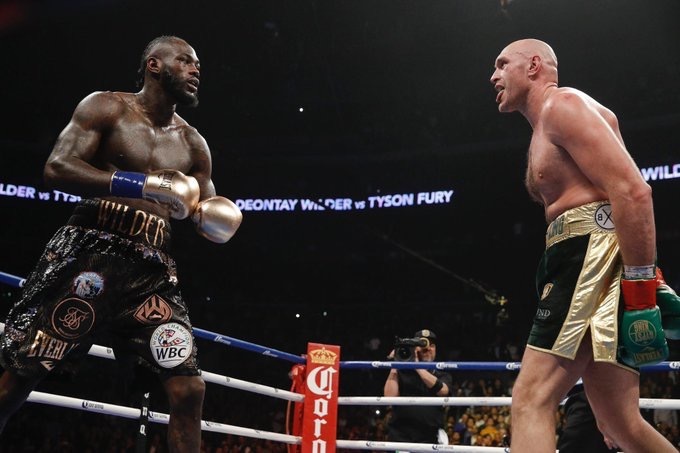 Anthony Joshua, Tyson Fury and Deontay Wilder have brought the near forgotten about heavyweight division alive. The much-welcomed return of sharp competition amongst the leading promoters is really paying off. PBC are doing great things in the USA and a resurgent Top Rank is still going strong. Again, the Brits are playing their part; Eddie Hearn and Frank Warren are having some of their best moments promoting British boxing and keeping it at the centre of the world stage. We must also sing the praises of Sauerland, who are doing a fantastic job with their commitment and innovation with the World Boxing Super Series. The sport of boxing is in a good place going into 2019. Hot and hungry global competition enables the best fights to take place and drives better rewards for the fighters and importantly, more frequent big shows. A very special mention for Tyson Fury. He has battled depression, drink, drugs, unhealthy weight gain and yet still came back to fight for the WBC World Heavyweight Championship. That alone is an outstanding feat. After a 30-month absence from boxing, and having ballooned to some 28 stone (390 lbs! ), Tyson Fury lost 140lbs and to the surprise of many, reclaimed his old form. It was magical stuff, it was like he’d never been away. At the end of a truly gripping fight, with 12 hard fought rounds, Deontay Wilder seemed overjoyed with the draw. Tyson Fury was clearly and understandably disappointed. Most experts and fans believed that Tyson had clearly won the fight, but despite the global success, unfortunately, boxing never fails to surprise and disappoint us with questionable decisions. 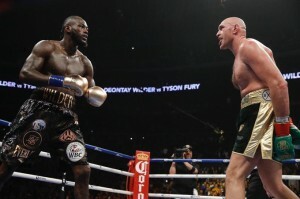 The massive effort and huge skill that Fury gave from the first bell deserved much better. Eddie Hearn and Anthony Joshua will now have to wait until after the obvious rematch, before the difficult negotiations commence with the winner (or indeed the loser). Even more exciting times ahead for the division. Adonis Stevenson, who was lucky to get a draw against Badou Jack in May, defended his WBC light heavyweight title again on Saturday. He lost by a late knockout against Oleksandr Gvozdyk, and is now tragically in critical condition and in a coma. For what can be such a beautiful sport, there are many dangers facing us each and every time we step into the ring. We have to put everything on the line and there are always huge risks. My thoughts and prayers are with Adonis and his family during this sad time, and we all wish him a speedy and safe recovery. I achieved my 45th professional victory in Poland over the weekend. This latest victory means I’ve now fought and won in 8 countries. 10 countries is my target and so is reaching 50 career wins before hanging up my gloves. 2018 has been a great year for me, both professionally and personally. Over the past 12 months I’ve fought in Germany, USA, Hungary, Ghana and now Poland. 2019 I want to have another active year, but boxing again in London is a real and special goal of mine. Eddie Hearn has Ricky Burns in his stable and I would love to fight him. 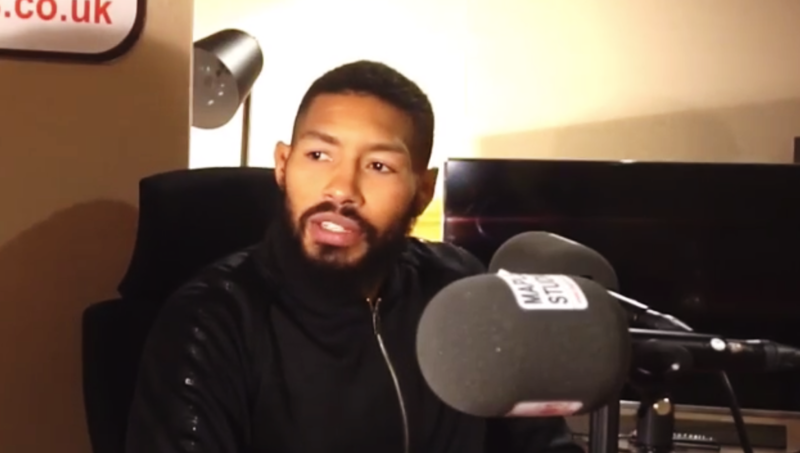 During his latest win, two weight division world champion, Badou Jack, messaged and encouraged me whilst he was watching him fighting to say I’d beat him. Brandon Rios has just signed with Eddie Hearn. That’s another fight I would love and I believe I can win. I was ringside when Danny Garcia stopped him in February. He boxed good, but it’s a winnable fight for me. Frank Warren has Terry Flanagan, a very good fighter at 140lbs. He’s lost two on the trot now. I’d love to fight him, as he’s a former world champion and a fellow Brit. Maybe in 2019 we can make all of this (or at least some) of this happen. 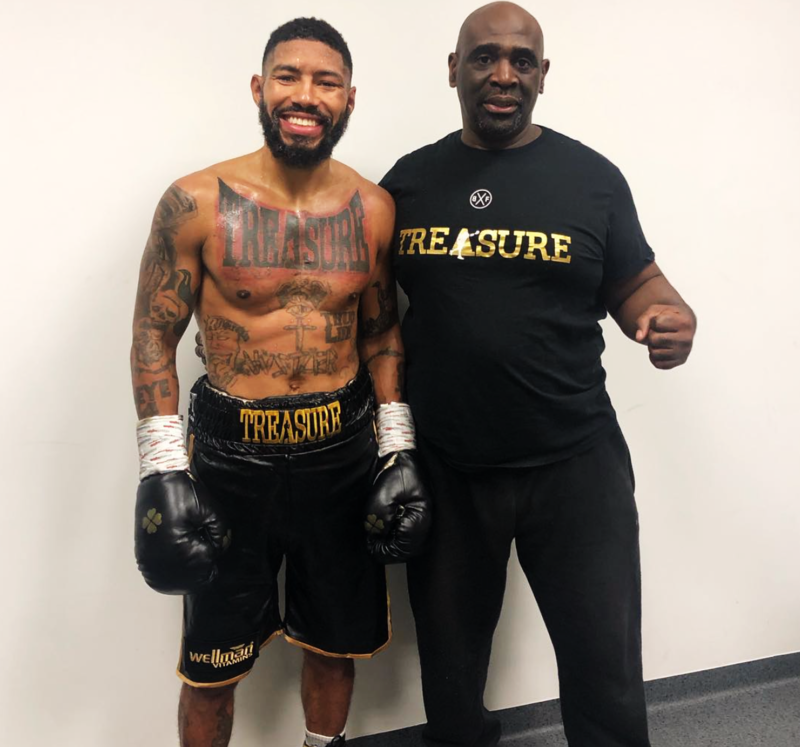 For all the growth and success, boxing is still a very hard sport to succeed in, just last week, we saw current IBF European super featherweight champion, Ronnie Clarke, trying to sell his championship belt on eBay to raise money to buy his kid a Christmas gift. I haven’t boxed in the London now for nearly 8 years. That’s a sort of achievement in itself. Without boxing in my hometown, I’ve still been active and made a living through boxing abroad and endorsements deals with Vitabiotics and Di Nardo Boxing. I was pleased to write a chapter in René Carayol’s latest book, “SPIKE! What are you great at?” The book is doing really well and I’ve had some nice feedback on my chapter! 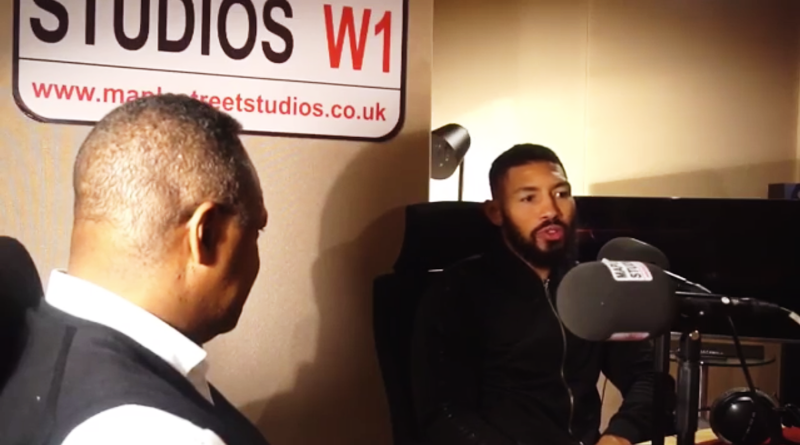 We did a Podcast last week, where we spoke in a lot more detail about my life after boxing and starting my very own, Treasure Boxing Gym in Paddington, where I’m from. Derry Matthews, Shawn Porter, Tony Jeffries and Tommy Coyle are 4 boxers that have successfully opened their own boxing gyms and I aim to join them. I’m looking forward to following in the footsteps of Isola Akay MBE, who started All Stars Boxing Club over 40 years ago. He helped me and many others across London and beyond. It’s my turn now to help those who feel disadvantaged and who need a little support and encouragement. I’ve not done anything like this before, but most of the time, stepping into the unknown is scary, but that is when you really discover your strengths and face up to your weaknesses. Once I’m told it can’t be done, I am at my most energised and most determined. Here’s to 2019 and I’m ready, excited and impatient for whatever it may bring.